Third year students at the Johannesburg-based Ann Latsky Nursing College have continued their protest against the allegations of unfair examinations and mismanagement at the college. On Monday November 12, third-year students were prevented from entering the campus by management and public order policing. They were due to write an examination at noon. Students were also reportedly mishandled by police. The latest action at the college comes on the back of the October 11 protests where students protested against allegations of mismanagement at the university, as well as a dissatisfaction with the level of examinations they were given for the general nursing sciences course. 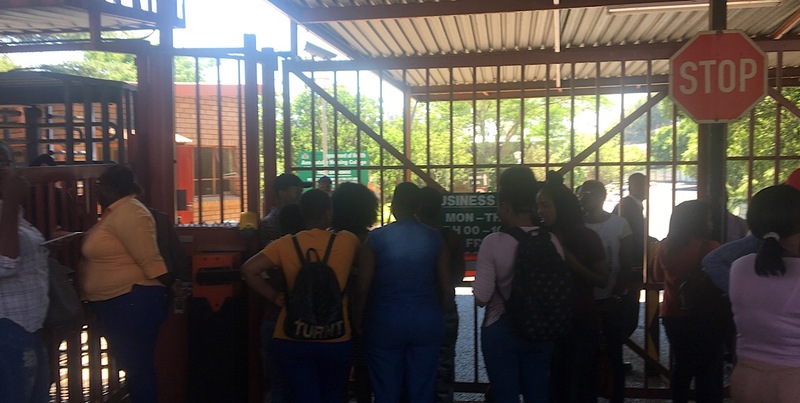 Despite assurances from the university that they could get back to students, no action was taken by the management and the Gauteng department of health. Students waiting outside the college say they just want the issues with the university to be resolved – whether it means they write their exams or not. Many had arrived early at the college to revise for their paper, but found the gates of the college closed to them. Speaking to The Daily Vox, a third-year student representative said: â€œThere has been no change from last time. We had some demands that were not met and we said we would only write exams if the demands were met,â€ The student representative said students were not even protesting but were being intimidated in their own college by the police. On a board outside the college, a Gauteng department of health terms and conditions is posted. Signed by the head of the health department Mkhululi Lukhele, the notice is regarding the resumption of academic activities on November 1 with calls to abstain from committing an act of violence, and intimidation against the management and staff of the college as well as abstaining from the damage of college property. The college was closed by the provincial health department due to examination protests. The closure reportedly took place after students removed the principal and other staff from the campus. A third-year student told The Daily Vox that management was removed from the university but were brought back while students were denied access to the college. Students have been calling for investigations into the alleged mismanagement at the college, and the exams but have not been informed about who is leading the investigation and when it will be concluded. Another third-year student at the university said it is unethical that the college decided to lock students out of the university as all students are asking for is: â€œAll we want is that this matter should be taken care of in a professional manner.â€ the student said. The problem arose, the student says because a large intake of students were accepted, the college doesnâ€™t have space for all the students and because all the students are passing, â€œThe management are sabotaging it for us,â€ she said by examining students on material they were not taught on. A labour union member and lecturer at the university said the situation at the university should have been prevented, if management had only accounted to the students. 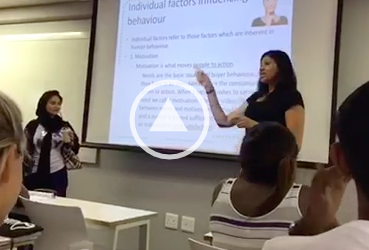 The lecturer told The Daily Vox: â€œManagement have locked themselves into their offices, and even staff are struggling to get into the university. The management is just not listening to the students, the lecturer said, adding that lecturers could start protesting as well because of the atmosphere at the college. Students are currently holding a meeting to discuss the way forward. The Gauteng department of health has been contacted for comment, and this story will be updated once it has been received.